I am starting to think I'm not invited to Chelsea Clinton's wedding. For the past few weeks, I've simply assumed Chelsea misplaced my address, or the post office misplaced the invitation, or Bill and Hillary didn't remember which email address to send the invite to (although they could have googled me and found susanbpfeffer@aol.com pretty darn easily). I'm not on Facebook, I reminded myself, so they couldn't have left the invitation on the wall there, as they probably did with Steven Spielberg and Oprah Winfrey. I figured it was a given I'd be invited, since I voted for Bill and Hillary every chance I got. But this isn't the only time they've scorned me. When Bill first ran for President, I made a $50.00 donation to his campaign. I was certain fifty bucks would buy me an ambassadorship, and I had hand selected my country-The Sudan-to ambassador at. I figured what with my being called Sue most of the time The Sudan was a natural fit. And having played The Maid in my high school senior class production of Call Me Madam, I already had plenty of training for the part. I had the perfect gift selected for Chelsea and whoever the guy is she's marrying. 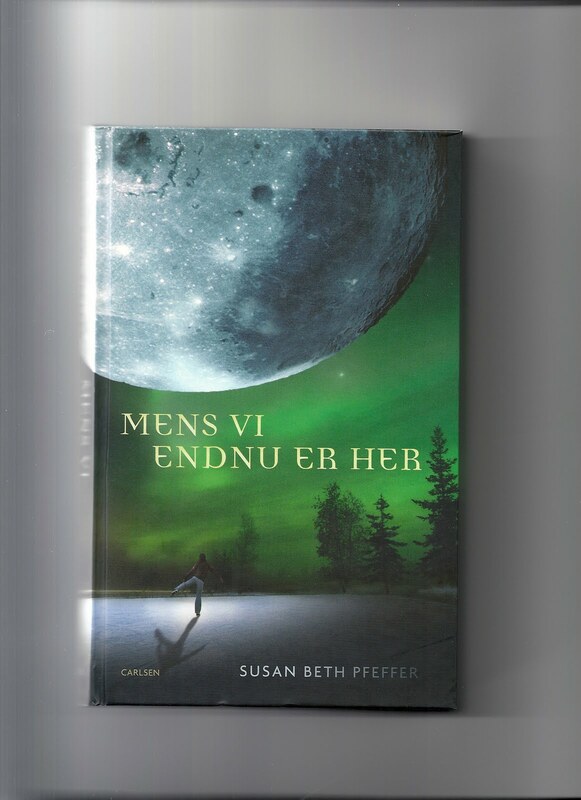 A copy of MENS VI ENDNU ER HER. 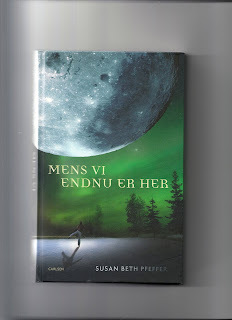 That's the Danish version of Life As We Knew It, and I would have inscribed it To Chelsea And The Guy She's Marrying- Always Have Hope- Susan Beth Pfeffer July 31, 2010. You know no one else would have given them one, and if they decided to exchange or return it, well what a wonderful excuse to go to Denmark. Rhinebeck is a very pretty town, but it's kind of small for such a big event, so I was even willing to put up a couple of the guests at my apartment. Oprah could have had my bedroom, and Steven could have slept on the expensive air mattress in the den. If they kept their doors open, Scooter would have been happy to play Purr On The Neck with either of them. What a kick Steven would have gotten, seeing his autographed picture in Scooter's room. And what fun Oprah and I would have had watching youtubes of Adam Lambert performing on her show. I know we wouldn't have lacked for conversation as we carpooled to the wedding. Rhinebeck is about an hour's drive from here, just enough time to discuss whether Life As We Knew It or the dead & the gone should go first in the Oprah Book Club, and who would be best cast as Miranda and Alex in Steven's Oscar winning production of This World We Live In. On the drive back, we could have had a fine time making bitchy conversation about what everyone wore and just who wasn't invited. Alas. Apparently I'm one of the uninviteds myself. Instead, along with three good friends and thousands of other uninvited people, I'll be at Bethel Woods for an outdoor Boston Pops With Idina Menzel concert. I just hope it doesn't rain on the bride and groom. Because if it does, it'll probably rain on us as well! My invitation was lost in the mail as well. But hey, Idina Menzel is wonderful so that will be a great time! Enjoy the concert! Probably a better time to be had there than at a celebrity wedding, anyway! This is priceless. I just read the whole thing aloud in Dulles' business class lounge. Everybody around me continued trying desperately to do their business class stuff, but Sunshine was really cracking up. You should send the whole essay to the Times. I don't suppose any of you would like to come over to my apartment and clean it. I just called my mother and asked her if she'd like to come over and clean my apartment, and she said, "No dear." I don't think my mother has ever called me "dear" before, so she really must not want to clean. I don't either, but alas, I'm not hearing fron any volunteers. And even if Oprah and Steven won't be staying here, someone's got to vacuum Scooter's hairs off the carpet! I was invited, but can't go. Oh wait. Maybe you are President Obama! Hello blueicegal and thank you for your comment and your blog review (I just went over there and read it). I'd be delighted to do an interview with you. Just use the email link on the top left side of the blog, and we'll set it up. Speaking of ex presidents... was the idiot president in LAWKI related to GWB? That struck me as morbidly funny and reminded me of 9/11. Mine was a fictional president and related only to other fictional presidents!